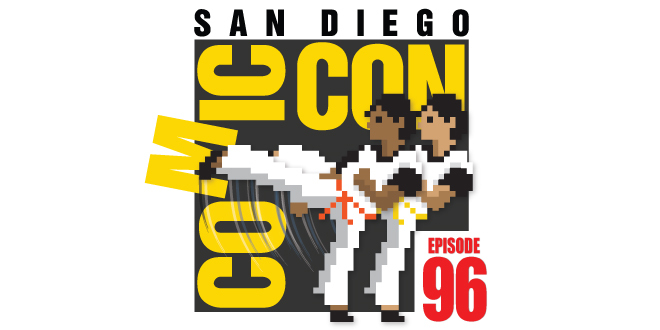 Normally, we bring you the latest in movies, TV, collectibles, gaming, comics & cons, but this week it’s all about #SDCC!. That’s right, with just days to go before we head out to San Diego, the focus is on Comic-Con. We’ve got tips for newbies and you veterans might even learn a thing or two. Here are some of the things we shared with you in Episode 96. Visit the links below & don’t forget to support the sites you visit by clicking on some of the ads on their page. It’s like tipping, but doesn’t cost you anything! Check out our very first exclusive – the I “H” Comic Con TShirt, available now in Men’s and Women’s sizes. Limited Quantities. We’ve got a new giveaway! 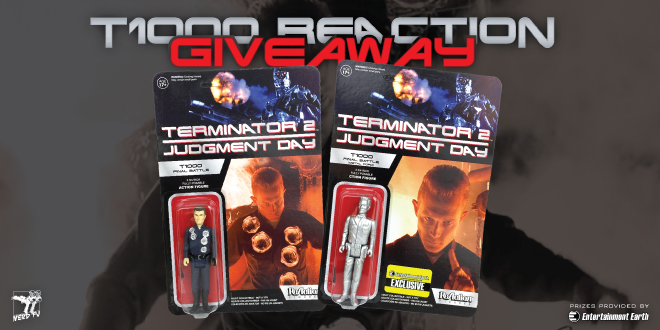 Check out our Terminator T1000 ReAction Giveaway, with prizes from Entertainment Earth. Get those entries in quickly – this one ends 7/06/15 at 11:59m! Everything you see below is based on our three years of going to San Diego Comic-Con. It may not all be 100% accurate, since things do change daily & often leading up to SDCC, so be sure to check the official sources, like the Comic-Con website or app. We just wanted to share some knowledge and help out anyone who might be interested. Research – Spend time mapping out your plan of attack and backup plans. Find out what others are doing. Just be prepared. We recommend that you follow our list of awesome Comic-Con veterans! **Also, check out all of their websites and blogs. TONS of helpful information on all of them. Print-Outs – You’ve got documentation for all sorts of stuff. Be sure to have back-ups, just in case. Print out your bar code for SDCC ticket pickup, offsite event tickets, emails of importance, overall schedule….SDCC ScheduleLinks to the official schedule are below, but before you jump in, be sure you read up on the new Wrist Band System for Hall H.
Nerd HQ – This is the “other con” put on every year by Zachary Levi & it is always awesome! ** There are MANY, MANY more outside events. Check out SDCC Unofficial Blog for more info. We answered questions from fans & friends on the podcast. That happened in the last 20-30 minutes of the show, in case you want to fast forward to that part.